If your submission has been sent, it is no longer editable and Submittable is not permitted to edit your submission content. However, you can request that the submission be opened up for editing by the organization that you submitted to. You can usually find a contact email or phone number on the organization's website. Please note that if the review process has already started, the organization may decline your request. The organization may allow you to request an edit within your Submittable account. Go to your submissions list and locate your submission. Click the name of the submission to go to its Details page. If the organization allows edit requests, you will see an Edit link in the upper-right corner of the Details page (between the "Download" and "Withdraw" links). Click the Edit link to submit your request. If the organization approves your request, you will receive an email letting you know your submission was opened for editing. Click the submission link in the email. You'll be taken to the Content tab of your submission's Details page. Click the edit buttons next to the fields you'd like to edit. When you're finished making edits, add an optional message to the organization, and then click the Done button to submit your edits. Go to your submissions list and click on the name of your submission. Then, click the Messages tab. 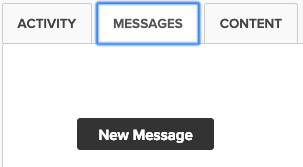 If the organization allows submitters to send messages, there will be a New Message button available. Click the New Message button to send a message the organization. Read our help article for more information about withdrawing. Withdrawing does not provide an automatic refund of your submission fee. A refund must be requested by the organization.